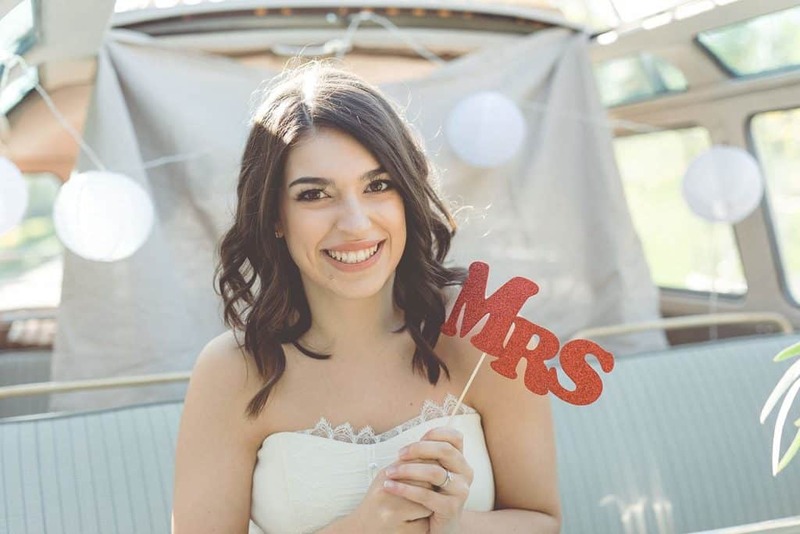 You want your wedding to be remembered for a long time? Then our Fotobulli is guaranteed perfect for you! A lovingly decorated VW T1 Samba, equipped with a mobile photo booth, brings you the absolute fun at your wedding. The shooting pleasure can begin in a nostalgic ambience: equipped with many extraordinary and funny props, you take a seat in the photo van, press the self-timer and thus capture funny moments on crazy pictures. This is the best entertainment for your guests – they will love our photobulli! 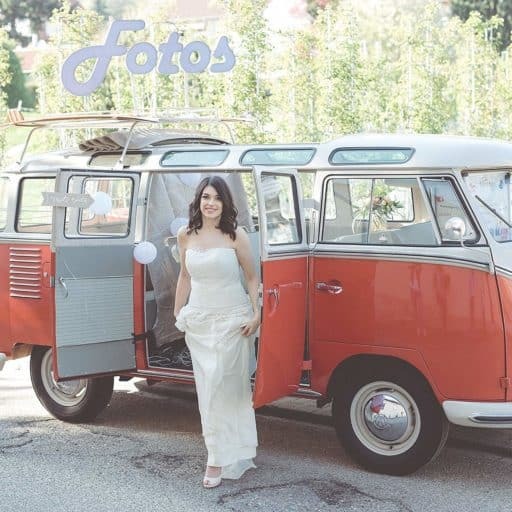 The retro photobulli is ideal for preserving all the beautiful moments of your wedding day and taking them home with you. The funniest photo galleries can also be pasted into a guestbook next to the photo bulli: what an unusual memory for the bridal couple on their most beautiful day! 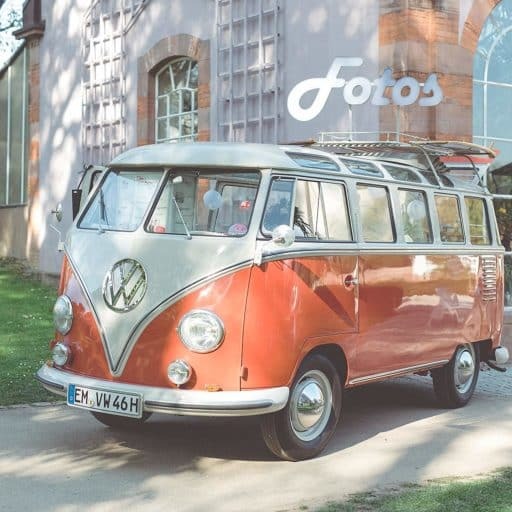 From the outside, our Fotobulli radiates pure nostalgia; inside it then shows its true ability: equipped with ultra-modern photo box technology, it captures every funny moment pin sharp! The pictures are immediately available as digital download and can also be printed out immediately: our photo bulli will keep your guests entertained. You can add the finishing touches to your memories with a personalised layout. A photoflaterate makes sure that the fun doesn’t stop!